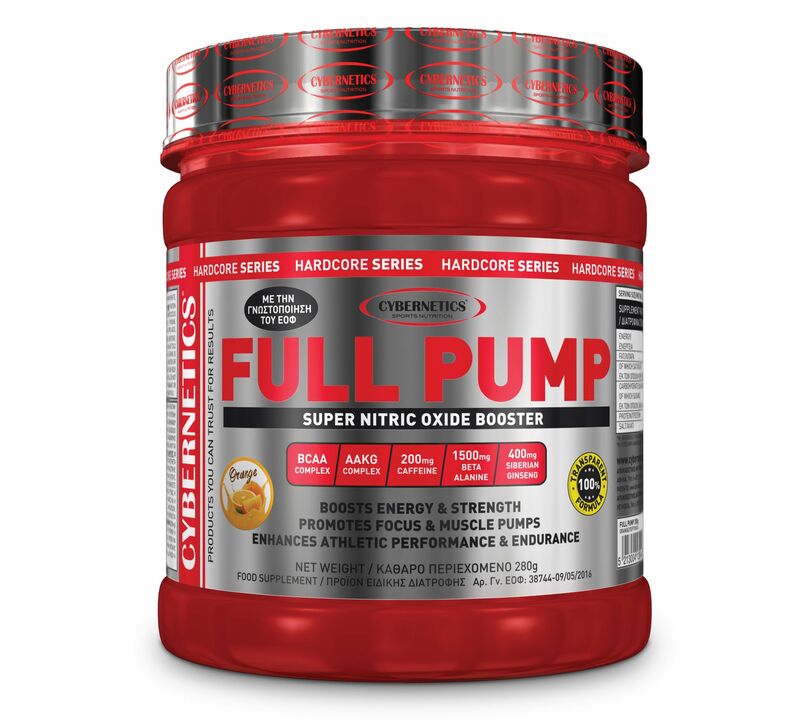 FULL PUMP is the most potent combination that contains the most important activators for NO (nitric oxide) production like: l-arginine, arginine-alpha-ketoglutarate, l-citrulline, dl-citrulline malate plus significant strength and performance enhancing ingredients like: creatine, caffeine, beta alanine, Siberian ginseng, tyrosine and synephrine. When the components that generate maximum vasodilation, blood flow, macro nutrient and oxygen supply to the muscles are combined with ingredients that increase energy, focus, duration and endurance to highly intense workouts, then we have at our disposal the most powerful pre-workout supplement ever designed and one of the most efficient activators of nitric oxide. FULL PUMP is the most complete pre-workout formula that provides maximum power, unrivaled and long lasting muscle pumps and constant endurance during training. So if you want to choose the best pre-workout supplement that will give you the most efficient workouts and will accentuate pumps leading your muscles to maximum growth, your choice is FULL PUMP.